We provide safe transportation to and from any location in the UK for both adult and adolescent service users. 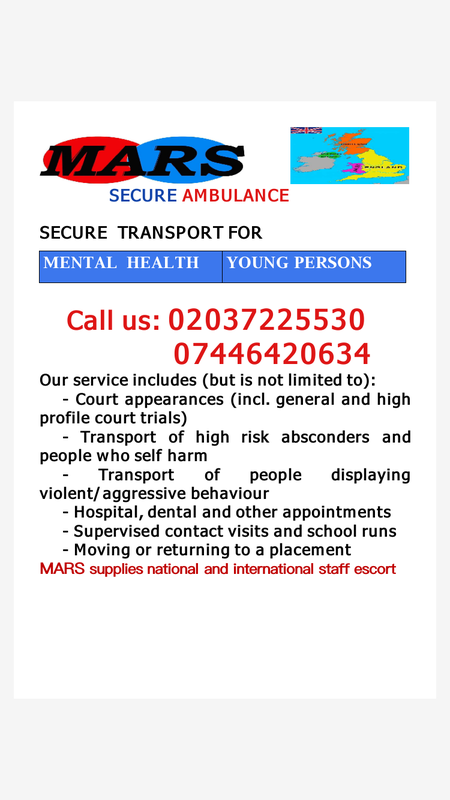 Hey Buddy!, I found this information for you: "Mental Health Transport". Here is the website link: https://oxfordlocals.com/ad/mental-health-transport/. Thank you.